When changing pre-amp and power tubes, must the new tubes be biased? If you are just changing the preamp tube, no bias setting is needed. If you change the EL-84 output tubes, if the tubes are bought as “matched pairs” (same gain in each tube) bias settings, on the average, don’t need to be done, and can’t be done on this model. 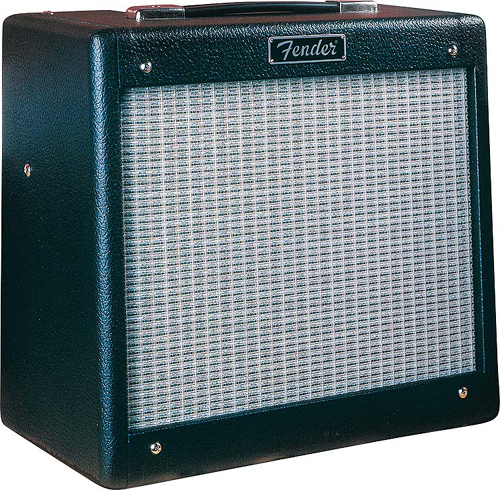 If the amp sounds dull and cold after the change, your best bet is to re-bias the output tubes, however, that should be left to a local shop, that has a great reputation. This would involve modifying the actual output circuit, to make it variable bias, instead of fixed bias and that is best done by an experienced Technician. Make sure that the amp is off and has been unplugged for some time, as the power supplies in the Amp can have lethal voltages present, even after three hours or more, before you change out any tubes. Tung Sol Tubes make most any amp sing, go to http://www.tubesandmore.com and take a look. I bought 1 of these amps at a yard sale today,(9/9/18) 4 $20 and it is in good condition and it works.Do ya think I got me a good deal? Yep! I paid $240 and $275 for two that I own. Great deal! If yoh want to double your money I’ll give you $40 LOL! You probably got one with a burnt circuit board or one thats in the process of burning. A lot of pro jr owners are the same. They tube swap like crazy because they think it’s the in thing to do or whatever, and then they dont bother rebiasing. They just think these things are plug and pray. Thats why a lot of pro jr’s end up on ebay – what they dont tell you is that they swapped the tubes without rebiasing and for the last couple of years the amp has been cooking itself or it’s tubes. And they’ll tell you it sounds great, and it will. Any amp thats cooking itself to death will sound like a monster until it dies. Thats what you get with cooked tubes. So my guess is, your 20 dollar pro jr (lol, did I get a great deal – come on dont be dumb) is probably cooked to fuckery. I’d get in there and check it out……check for non standard tubes and then check to see if they did anything about the bias resistor. If you’ve got an aftermarket bunch of tubes and a 15k resistor in r29 (I think it’s r29, might be r28 cant remember) then the tubes were swapped, the bias wasn’t set and the tubes slowly cooked and thats why it’s being sold now. Dont buy a cooked PJ. Ask questions about tube swap history and rebiasing. If they tell you the amp sounds great and they’ve swapped the tubes with no rebias, it sounds great cos it’s cooking. Dont buy it.